A study released by the Adobe Campaign found that millennials use email more frequently than any other age group studied. Not only do they use it on a daily basis, they check it several times a day. Talk about an incentive to improve your email marketing strategy. As it turns out, students know how to separate entertainment from reality and they want to engage with relevant information. Email remains a reliable and effectual way to reach their generation. If you present them with meaningful email content, they will respond. Finding ways to reach students that will resonate with where they are in life can be a challenge. Thoughtful email content that is properly crafted can get you the engagement you are aiming for. If your email is lacking substance - regardless of how nice it looks - people will stop opening them altogether. What makes for better content? Readers want to know why they should read your email and they won’t stick around long to find out. The very first lines in your email should express why it’s been sent and why it’s relevant to them. If the recipient had filled out an inquiry regarding a certain program offered at your school, establish that connection at the beginning of the email. It reminds them of why they signed up for the correspondence in the first place. Remember that you are targeting a large audience that might not necessarily have the same interests and are at various stages in their life. Sending out a one-size-fits-all message isn’t going to get you very far. You can build relationships with your recipients over time by learning more about their needs and expectations. Sending relevant personalized content builds trust and improves open and click rates. Easy-to-implement tip: Personalized email always resonates over one that’s generic. If your Office Administrative Coordinators name is Jan Hilliard, put her name as the sender. In the opening of the email, put the recipient's name, instead of a general “hi there”. Having a high open rate is the number one goal of email marketing, that’s why nailing the subject line matters. If the recipient isn’t interested in opening your email, it’s game over before it even started. A majority of students will mark their email as spam based on the subject alone. To make sure your email doesn’t get caught in the spam trap, focus on the following aspects of a good subject line. Highlight something new, or make an announcement. Make it clear what the recipient is to do with the email once it’s opened. Give the recipient a call to action. Create a sense of urgency, mention upcoming deadlines (like enrollment). You want to grab the reader's attention so make your subject short and to the point; lengthy subject lines with too many characters tend to get cut off on mobile devices. Also, avoid weird punctuation and all caps. Images are powerful and we live in an age where people are constantly creating visual stimulus. People are drawn to strong images, and the use of images in email marketing is an important element. Images tell a story and evoke feelings. They can persuade and inform. But before you slap an image in your email, it’s important that it serves a purpose. Ask yourself if the image matches the message you are trying to relay. Choose images that will enhance your content, not detract from it. One of the best ways to optimize your marketing message is to include what is referred to as a call-to-action (CTA). A CTA is designed to grab the reader’s attention by encouraging them to respond by clicking on a link or button (buttons have been shown to garner better conversion rates). It’s great that they have opened up the email and presumably read it, but the whole point of email marketing is to get a conversion. You want your reader to engage by filling out enrollment forms, reading additional content - anything that will further their decision-making process - so you can promote a relationship. When you craft your CTA make it easy to identify with colors that stand out while using language that is compelling. Preventing email fatigue can be tricky. You want to keep your subscribers engaged, but you don’t want them to feel bombarded and start tuning you out. So what is that perfect email balance? Unfortunately, the answer isn’t cut and dry and requires some effort on your end. Don’t ignore the analytics. It provides valuable insight, such as how many subscribers are opening your email. If you see an uptick in users unsubscribing, it’s time to evaluate how often you are sending out emails. Start out slow and see how your subscribers respond. If they seem to be responsive to your emails, you can experiment with a higher frequency. Let them have a say in how frequently they want to receive emails. 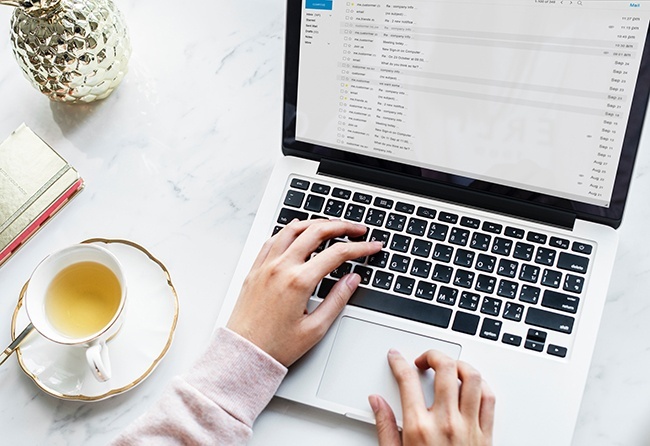 Implementing a quality email marketing strategy is one of the best ways to get prospective students to take the plunge and apply. It’s a simple and effective tool for communicating with students who are serious and those that might still be on the fence. The professionals at Neon Goldfish are ready to help you come up with a personalized plan to help you reach your marketing content goals. 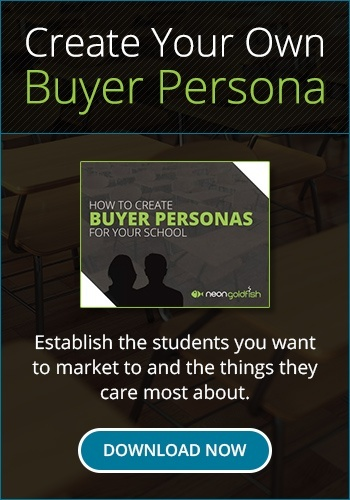 Contact Neon Goldfish today to find out how we can work together to craft an email solution to help your student enrollment.